1: Anyone who is fluent in any spoken language can learn to improvise and play jazz. 2: People who say, “I can”, and people who say, “I can’t”, are both right!! I have a great group of students who frequently bring music to class in which they’re interested and who’ll periodically introduce me to musicians of whom I was not aware. Recently, on such an instance, I was introduced to a superbly wonderful Ukrainian musician and I am now his newest fan! While researching this person, I came across a specific statement he made, and that same statement was echoed verbatim by two of his followers, both of whom are amazingly gifted and extremely accomplished young musicians in their own right! The ages of the two young musicians are 12 and 20-something! The statement, with which I could not disagree more, originates from an assumption they’ve all made that they “can’t improvise”. All three of these fantastic musicians say they love jazz and they all believe and say they “can’t improvise”. They say have to “read everything”! To all three of these beautiful people I say, if you love jazz and you really want to play jazz, please discard the “I can’t” phrase from your vocabulary forever! Then find your way to a person like me who can help you because teachers and players of this music may be found in just about every country throughout the world! Art Hodes (1904-1993) was a great jazz pianist from Mykolaiv, Ukraine. I never played in Ukraine but I did play in several communist countries before the “Iron Curtain” was brought down and I’ll tell you that in every country I played, I met some pretty awesome jazz musicians who could improvise very well. Jazz music is really appreciated and loved around the world. So it’s going to take some serious work and it won’t happen overnight but if playing jazz is something that you really want, then don’t let some hard work stand between you and your goal and get out of your own way by ridding yourself of the “I can’t” affliction if you have it! Get a coach and get busy! The positive effects it’ll have on your life is well worth the time and investment. This entry was posted in General Info, Piano Lessons on June 12, 2013 by Art Matthews. In this post, I’ll show you a brief video of one way I make my own bed then play on it. 20 push-ups right now private! Now I’m not talking about an Army bunk kind of bed where a mean looking drill sergeant might demand twenty forearm push-ups if he or she is not able bounce a quarter off of your bed or discovers that your sheets and blankets are not “cornered” according to Army regulation specifications. In my office right now private! The sergeant on the right might send you to solitary confinement if she ever caught you playing on a bed while under her command! 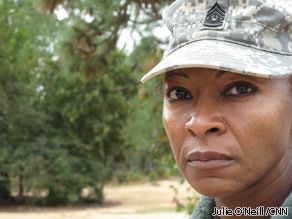 Beds that don’t meet code and playing on beds are bad in the Army. So don’t play on Army beds! 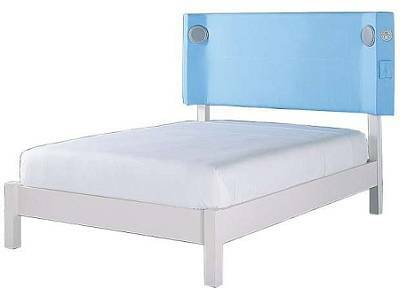 I’m talking about music beds! No! I’m not talking about beds that play music like either of these! OK! All kidding aside! I’ll explain. “Music bed” is advertising industry jargon for background music (usually instrumental) that an announcer talks over in a commercial. From Coca-Cola to Pepsi-Cola, Chevrolet to Ford, Burger King to McDonalds, music beds have been used in commercials since the 1920s. I’m borrowing the term as it’s used in that context and applying it to the practice room where you would either play or sing your part over the background music. Think of karaoke or the music-minus-one records of decades past. Although there are literally hundreds of sources on the Internet where you can find free and commercially available pre-made music beds, many times I find it easier, less time consuming, and very often necessary–not to mention more fun– to make my own. There are several ways to make these types of beds and I believe that one of the easiest ways is to use MIDI technology to sequence your tracks. Then it’s time to play on your homemade bed! For this video, I’ll use a couple of phrases from my Improv 101 class to illustrate how I have my students take a phrase and conjugate it and use it in musical sentences. 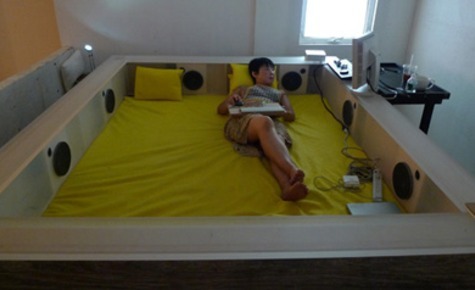 This music bed is titled, “Take The I-Train“. The “Improvisation Train” is about to leave the station. Climb on board! That’s it! If you want to see a slightly longer version of the same video, click here. However, the short clip just above effectively and quickly summarizes the process of how I start making many of my basic music beds before I move them into other programs to enhance and fine-tune. Although Army drill sergeants won’t encourage you to play on Army beds, I highly encourage you to play on music beds in my classes and at home because it’s an effective and fun way to practice. It’s nice to make your own beds but I often make them for my students and I can make them for you too! Check out Jeff DeLangie playing on some beds I made for the Muzio Clementi Opus36 package from my “Fun with the Classics” series. See you next post. Practice well! This entry was posted in A Rudiments, C Repertoire, General Info, Piano Lessons on June 7, 2013 by Art Matthews.